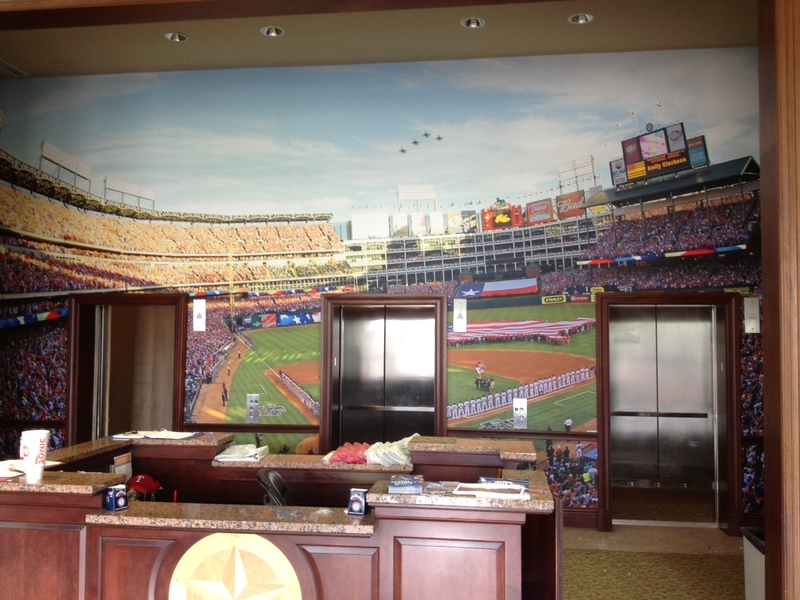 We shipped the baseball custom wallpaper (see my last post) on Thursday, the customer received it on Friday, and in my email this morning was a picture of it installed! In the words of our customer, the picture doesn’t do it justice- it’s fantastic! Just so you know, we are really serious about making our delivery promises. This customer had the installers all set to go for the weekend, and our custom wallpaper was there on time for them. That’s how we do business. In fact, we are installing our second UV printer next week. It’s part of our commitment to this business, and to never be late on a shipment. The new machine will triple our capacity for custom wallpaper printing. We expect to need it! This entry was posted in Custom Printed Wallpaper and tagged custom printed wallpaper, custom wall covering, photo wallpaper, wallpaper murals. Bookmark the permalink.